Supporting better law and policy change to create an environment for better, safer bicycling and walking in Missouri is a goal of MoBikeFed's Vision for Bicycling and Walking in Missouri. Our annual Legislative Platform puts forth our priorities and issues for the year. Between 1995 and 2019, no fewer than fifty-six of the proposals that we have supported or opposed have been approved or defeated, respectively. That includes forty Legislative Platform planks, resolutions or proclamations have been passed, signed, or otherwise approved or passed into law or policy. It also includes defeat of sixteen pieces of poorly conceived or poorly written legislation--and success stopping a bad bill is often just as important as passing a good one. The bills we have stopped include legislation that would have banned bicyclists from all state highways, required cyclists to wear reflective vests, required motorists to pass within the lane regardless of danger, required cyclists to ride against traffic, banned bicyclists and pedestrian from key trails, stopped use of any state transportation funding for bicycling, and others. Of platform planks passed or defeated, 51 of 56 have been accomplished since 2005, when we first hired a Jim Farrell, our Government Affairs Representative, to work on behalf of bicyclists and pedestrians during the legislation session in Jefferson City. The lobbyist is the most effective single thing we have ever done to improve our effectiveness as statewide bicycle advocates—and your membership and support makes his continued, extremely valuable work happen. His work has dramatically impacted and improved every one of the four major objectives of MoBikeFed's Vision for Bicycling and Walking in Missouri. Defeated: Another bill blocking acquisition of the 144-mile Rock Island Trail corridor by Missouri State Parks; replacement was a bill requiring reporting and accountability by State Parks. Proposed: Among the legislative proposals of the 21st Century Transportation System Task Force (created by the General Assembly in 2017) is a recommendation for $50-$70 million dedicated annually in Missouri's state budget for ongoing multimodal transportation needs. Passed: Creation of statewide 21st Century Transportation System Task Force, with broad mandate to study statewide transportation issues and funding. Thanks for work by the Missouri Bicycle & Pedestrian Federation and our allies, the Task Force is charged to consider statewide transportation construed broadly, including walking, bicycling, and transit. 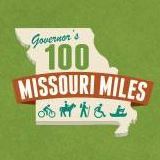 Passed: $20 million in flexible state transportation funding ("Missouri Moves"). First time in modern history flexible state transportation funding available for highways, transit, bicycling, walking, and other multimodal projects. Passed: $4.6 million in supplemental for the Rock Island Trail segment between Windsor and Pleasant Hill, for trailheads, signage, other enhancements. Trail opening planned for late 2016. Defeated: Proposal to require bicyclists to carry liability insurance. Defeated: Proposal to Remove Bicycle Funding. In one of the most important legislative victories in MoBikeFed's history, the proposal to remove bicycle funding from proposed statewide transportation funding plan was soundly defeated in the floor Missouri House of Representatives. Passed: First-ever statewide transportation funding proposal to fully integrate bicycling, walking, and transit funding. Ushering a completely integrated transportation funding proposal through the General Assembly was a major accomplishment. Two major firsts: First-ever funding proposal endorsed by the General Assembly that included funding for biking and walking; First proposed constitutional amendment to fix a decades-old problem that prohibits state road fund dollars from being spent on bicycle and pedestrian projects. Though Amendment 7 was eventually defeated by voters in the August 2014 election, it raised the profile of bicycle and pedestrian issues tremendously and puts us in a far stronger position as the next steps to address MoDOT's funding crisis move forward. In addition, A7 was both a better proposal and received a far higher percentage of the popular vote than the last similar MoDOT funding proposal in 2002. The 2002 proposal included highway and transit funding--but not biking and walking--and was defeated by a 3-to-1 margin. Defeated: Bicycle Ban Proposal. Again. Rep. Bart Korman's proposal to ban bicyclists from certain state highways, HB 2279, failed again--and made the least headway any similar proposal has in recent years. Defeated: A poorly drafted proposal to discourage cities, counties, and state agencies from working with Missouri nonprofit organizations on sustainability issues--including bicycling, walking, and trails. After a narrow defeat in 2013, this bill gained little traction 2014, thanks to the opposition of groups like MoBikeFed and our allies. Defeated: Bicycle Ban Proposal. Thanks to early action by MoBikeFed and tens of thousands of calls and letters from bicyclists from around the state, this year's bicycle ban proposal, to disallow bicycle use on any roads or highways paralleling a trail, was defeated soundly. Defeated: Bill to restrict funding of bike/ped organizations by cities and state agencies. By a very close vote in the veto override session of the 2013 legislative session, a veto of SB 265 was upheld. MoBikeFed had opposed SB 265 because it contained an obscure provision that was uncertain in its meaning, but was presented by supporters as banning any government or agency in Missouri from working with or contracting with nonprofit groups to work on sustainability issues—such as biking, walking, trails, and community livability. More information about all of these issues in the 2013 Legislative Session Roundup. Defeated: Bicycle Ban, Reflective Vests Requirement for Bicyclists on State Highways. Rep. John Cauthorn sponsored HB 1937, which was first intended to ban bicyclists on state highways, then amended to remove the ban but require all bicyclists on state highways to wear reflective vests. After many letters and calls from bicycle organizations and individual cyclists, and testimony in opposite by MoBikeFed the measure was defeated in committee. Passed: Enabling legislation for expanded funding for the Great Rivers Greenway District. Enabling legislation for greatly expanded funding approved. The measure will now go a vote of the people in the three affected areas (St. Louis City, St. Louis County, St. Charles County). HB 1504. Defeated: Attempt to eliminate all funding for the Great Rivers Greenway District. HB 1967. Passed: "Ryan's Bill"--fixes the bike rack/license plate problem. SB 470. Passed: Bridge Bike/Ped Path to be named after former MoBikeFed Chair Bob Watts. HB 1807. More information about all of these issue in the 2012 Legislative Session Roundup. Complete Streets: After four years of work, the Missouri Complete Streets resolution, HCR 23, passed in May 2011. The resolution establishes the General Assembly's support for Complete Streets at the local, state, and national level and encourages MoDOT, cities, counties, and the US DOT to adopt Complete Streets policies. The work on Complete Streets in the General Assembly over these years has been accompanied by an explosion of Complete Streets policies adopted across Missouri at the local level. Bicycle & Pedestrian Holidays on state holidays calendar (Bike Month, Bike to Work Week, Walk to School Day/Month/Year). SB 180 passed in 2011 after two years of work on this issue. "Same Roads - Same Rights" specialty license plate (for motor vehicle) - Approved by the Joint Transportation Committee, 2011, after six years of work on this issue. Important technical corrections to the Safe Passing of Bicyclists Law originally passed in 2005. Ban on texting while driving passed; applies only to young drivers. Dead Red law: Allowing motorcycles & bicycles to proceed through a red light after waiting a certain period that makes it obvious the motorcycle/bicycle is not triggering the traffic signal. This addresses a situation commonly faced by bicyclists, where the traffic signal simply will not change because the equipment does not recognize a bicyclist as it should. License plates - a new law creates a system for us to apply for a Missouri "Share the Road" license plate that will raise funds for bicycle-related education/outreach; we will apply soon. Equestrian Trail Bill--we were able to stop a version of an equestrian trails bill that would have been very disadvantageous to bicyclists, hikers, walkers, runners, and other pedestrians who use trails, and support a version of the bill the encourages development and maintenance of equestrian trails while have no negative effects for bicyclists and pedestrians. Allow right turn signaling with the right arm; allow intermittent signaling when arms/hands are needed to control bicycle (previously cyclists were required to do all signalling with the left arm, which necessary for automobile drivers who lack signal lights, but confusing and unnecessary for bicyclists). Bicycle-friendly rules for bike lane usage (previously the state had no regulations for bike lanes, leaving cyclists in the lanes in a legally uncertain situation, and giving no rules for motorists to keep out of the bike lanes except when necessary). Safe passing provision for motorists passing bicyclists. Motorists must pass at a safe distance and maintain the distance until completely clear of the bicyclist. 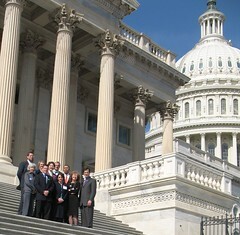 See summaries of the 2005 legislation here and here; complete text as passed here. Note that law and policy is never made in a vacuum. On many of these issues, the Missouri Bicycle & Pedestrian Federation is but one of many voices asking for change. On other issues--particularly those of interest mainly to bicyclists & pedestrians--MoBikeFed has played a leading role. Regardless, no legislation has ever been passed without a huge amount of cooperation and support from many individuals, organizations, clubs, and elected officials work together. Many thanks to all of them for working together to make Missouri a better, safer place to walk and bicycle. Missouri 2013 Legislative Session Wrap-Up: Bicycle ban defeated, $8 billion proposal includes bike/ped, anti-harassment, and more . . .